The most powerful model of the Mini Cooper S R56 series is the John Cooper Works version. It comes with a bigger turbocharger, improved exhaust and lowered compression ratio. All these are ready straight from the factory floor. Its turbocharger is a fantastic upgrade for normal Minis. It is a direct replacement of the stock turbo and it makes it possible to get 15-20hp more, provided the intercooler is upgraded to avoid overheating. The exhaust requires an upgrade too so that it can flow enough for the extra power. 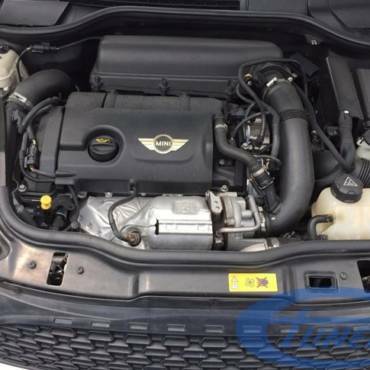 Stage3 maximum boost with the JCW turbocharger on a stock R56 engine is around 1.5bars, holding 1.3bars at the rev limiter. Performance can be increased with the addition of a water/methanol injection kit (WMI). The WMI kit improves intake air temperature even without help from the larger intercooler. It also improves fuel quality. The JCW turbocharger uses the same turbine wheel as the standard R56, but has a bigger compressor wheel. Which is what makes it more efficient and hold high boost at high rpm. Because of this, theJCW compressor wheel upgrade is a very common upgrade in the world of hybrid turbos. It is a popular choice for hybrids also on Peugeot THP engines. The dynoplot below shows the results compared to an existing tune from another tuner, that did not work very well. 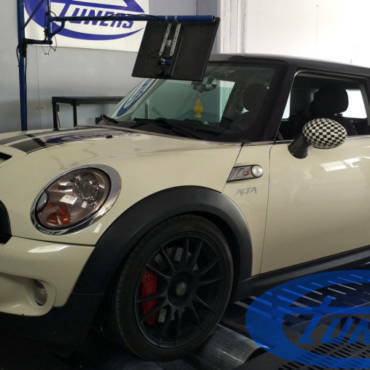 Hi there , I’m looking for an upgrade turbo for my mini r56 . I would like to go for the Jcw turbo .